126 ha greenfield site on the Croatian/Adriatic coast, planned for the development of an integrated golf/tourism resort. The Project includes: 27-hole golf course, 5-star hotel, 170 rooms, 114 villas/apartments, and more infrastructure. Croatia is EU member since 2013 and one of the hottest tourism/leisure markets in Europe today (2016 was a record year for Croatian tourism). 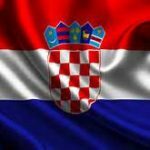 Croatian Government supporting foreign investments. Now, no tax for the selling of the company shares. Location of the Project: In Istria (one of the strongest tourism destinations in Croatia), at Adriatic coast, close to the sea. The project is situated close to several densely populated and industrially developed European countries/potential tourism/golf markets within reach of 110 million people in the circle of 600 km (key markets are Germany, Austria, Switzerland, Slovenia, Italy, Hungary, Croatia). The closest international airport (Pula International Airport) is reachable within 20 minutes by car. The warm Mediterranean coastal climate allows for 300 playable golf days, well above European average. - Permitting for starting investment in place (building permit for villas/golf resort, location permit for hotel). Strong interest and support of local government/local community. KPMG’s evaluation of the project in 2014 was EUR 23 m, however the owners are open to negotiate the selling price of the project/company with the future strategic partners/investors. Complete investment/project could be developed (together with the buying of the project/company) with an amount between EUR 60 to 80m, according to the evaluation of KPMG.